Great House - Great Location! $5000 carpet/paint allowance...a chance to pick exactly the colors you want! 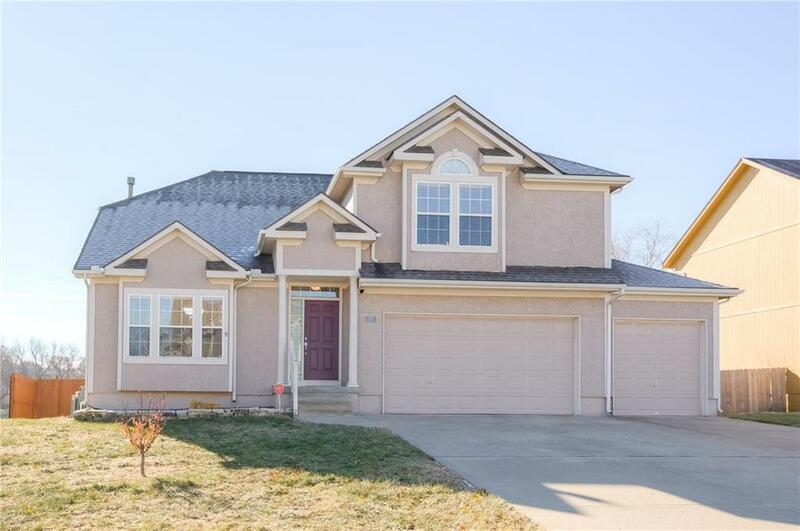 Great 4 BR 3 BA home in highly desired Lees Summit school district (LS West HS). Large kitchen w/ S/S appliances & updated countertops, under & above cabinet lighting for great ambiance. Huge Master Suite w/roomy master bath w/WIC, dual vanity & jetted tub. Built in surround sound in LR. Spacious family room in finished walkout basement w/incredible built in book shelves. Backs to green space. Directions: 50 Hwy to 3rd St exit; west on 3rd St to Ward; south on Ward; ahead to SW 34th St; TL onto SW 34th St; ahead to SW Windsong Dr; TR onto SW Windsong Dr, then immediate L onto SW 34th Ter; house ahead on R.